Jacob Toroney Promoted to Associate | Morris & Ritchie Associates, Inc.
We are pleased to announce the promotion of Jacob (Jake) Toroney, PE, to Associate of MRA. Jake, a registered Professional Engineer in Maryland, Pennsylvania, Virginia, and Washington, D.C., has been involved in the design of structural steel, reinforced concrete, masonry, and timber structures for 14 years, including 11 with MRA. As an Associate working out of MRA’s Towson office, Jake is in charge of all phases of structural engineering projects, as well as quality control. He is also responsible for mentoring new structural engineers in the firm and introducing new technologies to the firm’s structural design capabilities. Jake has managed and provided design and construction services for a wide variety of project types including bridges, and institutional, residential, retail, commercial, warehouse, and telecommunication facilities. In the telecommunications industry, he has designed installations on towers, monopoles, rooftops, chimneys, church steeples, water tanks and in-building systems, to name a few. 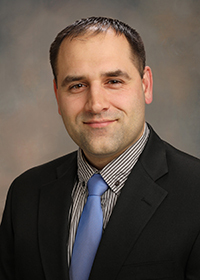 He earned his Masters of Civil Engineering from Johns Hopkins in 2008, and his Bachelor of Science in Structural Design and Construction Engineering Technology from Penn State Harrisburg in 2005. He is a member of the American Society of Civil Engineers and the American Institute of Steel Construction. Jake also has an extensive background in construction, and is a licensed M.H.I.C., with extensive hands-on construction experience. Jake’s construction background complements his formal education, resulting in more contractor-friendly designs. His hands-on background aids in troubleshooting field issues during construction, and allows him to better communicate his engineering skills with contractors.